Lastly, Google Canada is funding $400,000 to the University of Waterloo with the aim of developing a new leadership centre for Women in Computer Science. Our goal is to help close the gender disparity gap in tech -- and we’re starting to do just that by bringing the Technovation Challenge, the world’s largest global tech entrepreneurship competition for girls ages 10-18, to Waterloo for the first time. This post comes from Shawn Wallace, Googler and founder of Kitchener-Waterloo Youth Robotics. This past weekend, we competed in the FIRST Robotics Competition's Western District event, winning the prestigious Engineering Inspiration award, and also qualified for the Provincial Championships. Our success would not have been possible without the support of Google Canada and the early access they provided to their interactive Community Space. Non-profit organizations like ours know that finding affordable spaces where we can convene at and work from are incredibly hard to come by. The new Community Space is a game changer. At nearly 4,000 square feet, it’s flexible enough to host everything from brainstorming sessions and workshops to networking events and seminars. Since January, there have been over fifty events in the space. 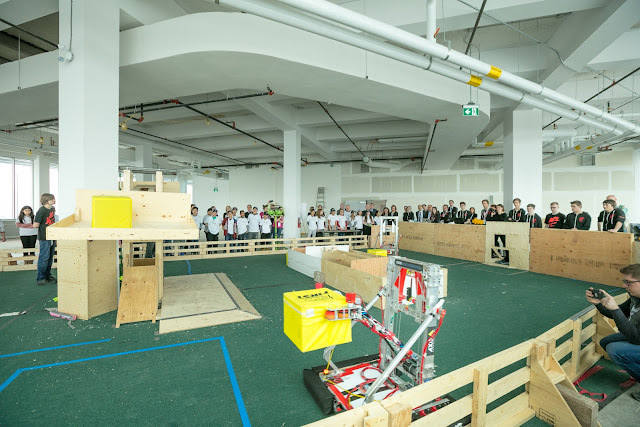 In true Google fashion, the team even set us up with a robot demo field and our very own workshop where we store our tools. There’s free wifi, a lounge, projector and screen, storage space, tables and chairs and, of course, a foosball table. As a Googler, I’m thrilled to see the overwhelming grassroots support from my company for our team and the community as a whole. In addition to opening the Community Space, Google has announced $2.1 million in new funding for a mix of local and national organizations, including Actua, Engineering Science Quest and the University of Waterloo’s Women in Computer Science. I’m so proud to be able to work together with Google to nurture the next generation of Canada’s technology leaders. Through our newly announced funding and Community Space, Google hopes to engage more than 75,000 Canadians in STEM and digital skills programming over the next year. If you’re a local non-profit working in STEM education and/or diversity and interested in getting involved with the Google Kitchener-Waterloo Community Space, fill out this form for details on how to apply. Keep in mind, we receive a large number of applications and may be unable to accept every organization. Posted by Shawn Wallace, Googler and co-founder of Kitchener-Waterloo Youth Robotics. A $1.5 million Google.org re-investment in Actua, Canada’s largest STEM outreach organization, to continue evolving our Codemakers program that offers year-round computer science workshops for kids. This brings our total investment since launching Codemakers to $3 million. 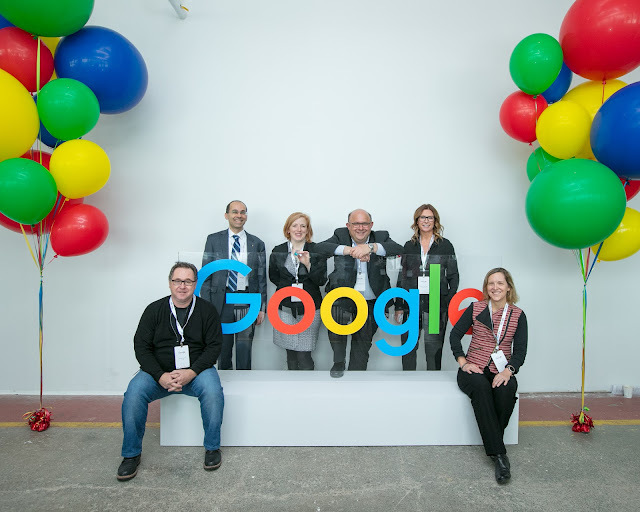 A $200,000 Google.org grant to Engineering Science Quest, through the University of Waterloo's Engineering Outreach Program, to create an experiential learning program in the Google Community Space that will help local youth build computational thinking and digital skills and provide parents and teachers access to information and resources.